Team Evotri: Snake Bite #2, in the Bag! Snake Bite #2, in the Bag! The second Snake Bite Triathlon took place last weekend in Morgan City, Louisiana. 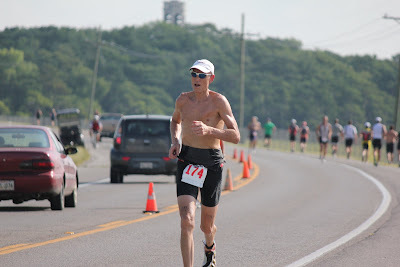 You think racing in a triathlon is a challenge? Try being a race director! Yep, this father's day totally rocked and completely flew by like no other day. We woke up our entire household at 3:45 am to head out to the race transition area (flashlights and bug spray in tow)- talking nonstop the entire ride about all the details that must be considered. We were blessed to have the field of 200 very cool people sign up for this deal - all sold out weeks prior to the event! We moved the swim course this year to deeper water and were stoked to have sponsors that built a telescoping aluminum staircase for the exit. Transition was closeby and Lisa secured plenty of carpet for all the tender feet. Everything was roped off and the volunteers in their positions - the sound system blared the national anthem and my shirt was completely soaked with sweat, literally dripping because as a race director you run around from one point to another coordinating police officers, bike and run courses, ice/water stations, volunteers, questions from participants - you know the drill - a million people needing your attention. 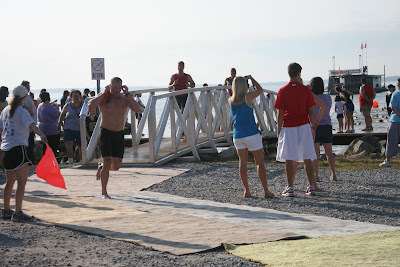 Anyway, as I looked across the lake at the rising sun and the masses of people, I couldn't believe the race was about to happen - the 2nd Snake Bite Triathlon. 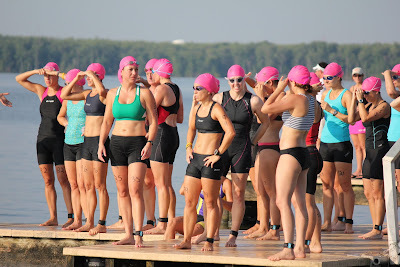 Over the past few months we had 3 swim practices for folks to get used to open water swimming. For new triathletes, the swim is usually the most intimidating part. These workouts were great confidence builders, learning situations for athletes and volunteers, and just good ole comradery. People talked openly about things that work and don't work, what times they train, and swim techniques. This is the good stuff. We are all about getting together with other people to train - it motivates and commits you. We had about 20 volunteers on the swim course and the athletes did a fantastic job of following our directions and working hard to finish - btw, every single person that started this bad boy finished it! The water was warm and not much chop - truly ideal conditions for a first timer. There were 3 wave starts - the first was males 30-39, then all other males, followed by the chicks. This format separated the groups evenly and let the tough guys clear out all the snakes for the rest of the gang! Transition was set up as a big rectangle with one end being "in" and one being "out" - transitions always have to have circular flow in and out so that everyone has to do the same distance during the event. Several volunteers stayed inside of transition to keep people oriented as to where they went next. 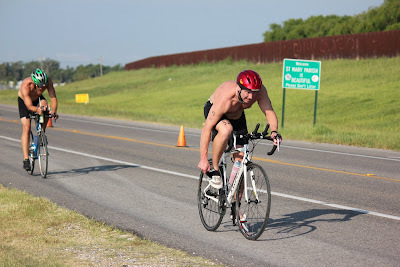 The bike course was super fast - flat and very straight - just an easy out and back (13 miles). Traffic was not closed, so we had to have volunteers on the course, as well as police at every major intersection and at the turn-round. We also had an aid station with water/Gatorade at the half way point. The run course led participants through the carillion tower park which is a raised gravel path through the swamp where large bells played music (2 miles). Our volunteers said that one of the last runners saw 2 snakes - just makes you run faster! One little detail: during the race it was so hot (94 degrees 105 heat index) that our original order of 34 cases of water and 14 cases of Gatorade got demolished. We ended up making 3 additional runs for more water and ice. 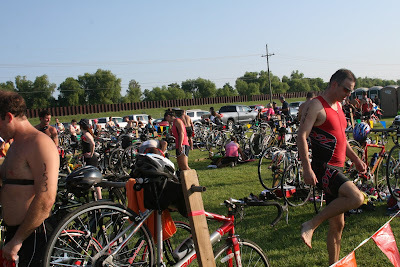 Once folks got through the finish shoot they were treated to tons of fresh fruit, ice bags, and fluids. Then over to the judge's stand for shrimp stew, jambalaya, door prizes and an awards ceremony. We took down all of the tents, barricades, and bike racks, loaded ice chests, signs, parking cones, and food. It was amazing that at 1pm everyone was gone. All of the months of planning pinnacled into about 4 hours of actual contact with the athletes - it was such a huge relief to have the final goal achieved - another safe, fun race with people amazed at their own will and power! In the end we had lots of newbies who rode the first time high for a few weeks - it was fun to get up in the morning to check emails and listen to our home answering machine to hear all the comments about the race. Many thanks to our great photographers - Mel Bourgeois, Bob Bourgeois, and Sarah Langlois - for working so hard in the heat to get all these great shots. A lot of work, but a great event! 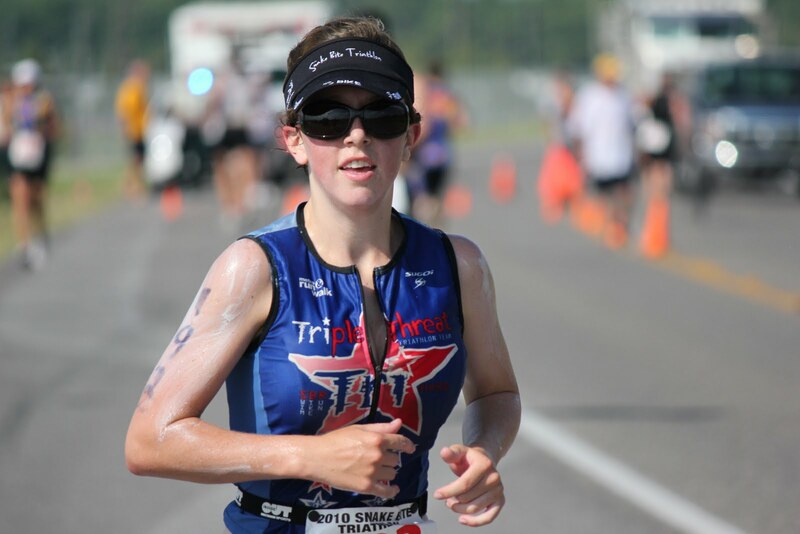 If you think doing a triathlon is a great feeling, consider volunteering for one, especially a local, grass-roots one where you can really help and be close to the athletes on the course. 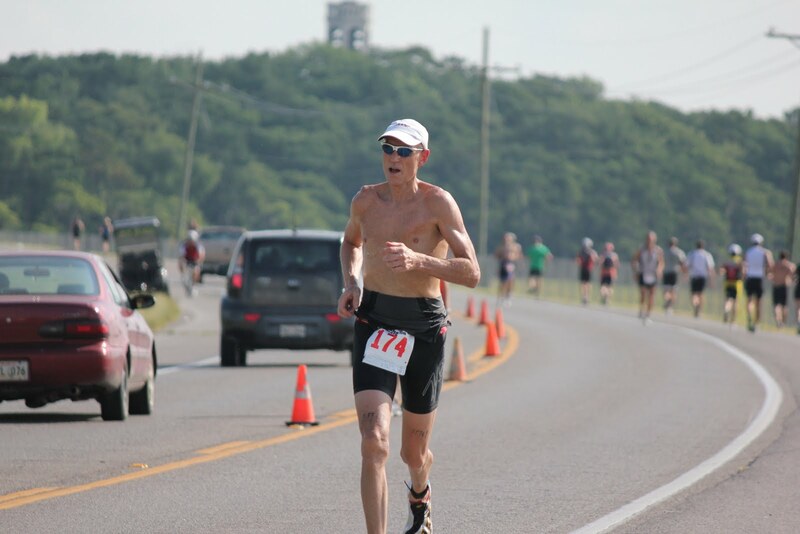 You will not find a better feeling in triathlon! Many thanks to all of our volunteers this year - these events would not be possible without you!